Cook County Associate Judge Mathias W. Delort is a candidate for the Cahill vacancy on the Illinois Appellate Court. In Chicago, home of America’s largest unified court system, judges tackle a heavy workload of cases involving all manner of human tragedy, strife and conflict. As a judge, I strive to administer justice fairly, humanely, efficiently, and promptly. I am running throughout Cook County for an open seat on the Illinois Appellate Court in the March 20, 2012 Democratic Primary. My ballot position is number 112, and I am endorsed by President Toni Preckwinkle, the Cook County Democratic Party, and the Independent Voters of Illinois. Before becoming a judge, I practiced law for over twenty years, representing local governments, public school districts, community colleges, neighborhood organizations, labor unions, and individuals. During that time, I served as the municipal attorney and prosecutor for many suburban communities, representing police officers, firefighters and first responders, and helping elected officials economically address countless legal issues. The breadth of my knowledge and practice is illustrated by the fact that I argued six cases before the Illinois Supreme Court, a remarkable number for an attorney in private practice. I also argued over twenty cases in the local state and federal appellate courts. I am currently an Adjunct Professor at The John Marshall Law School, teaching Voting Rights and Election Law, and guest-teaching real estate and Illinois constitutional law classes from time to time. I was an equity partner in Robbins, Schwartz, Nicholas, Lifton & Taylor, Ltd., one of Chicago’s most distinguished mid-size law firms. I chaired the firm’s Local Government Law Practice Group and appeared in courthouses throughout the entire state. I was the first attorney in Illinois to be named a Local Government Fellow by the International Municipal Lawyers Association, a distinction which requires passing a challenging examination and publishing a scholarly article. In 2006, my peers (including his competitors) named me a “Super Lawyer” in the field of Cities and Municipalities Law (Law and Politics Magazine) and a “Leading Lawyer” (Chicago Law Bulletin Publishing Company). In 2007, I was appointed to serve as an Associate Judge of the Circuit Court of Cook County. Because of my reputation for hard work, diligence, and legal acumen, I was promptly assigned to the Chancery Division and given the difficult assignment of serving in mortgage foreclosure court. I currently preside over a docket of over 8,000 pending cases and have won praise from borrowers, lenders and their attorneys for my scholarship, compassion, and efficiency. While many of these cases involve single-family homes, others are complex disputes involving large downtown office buildings and other commercial properties. 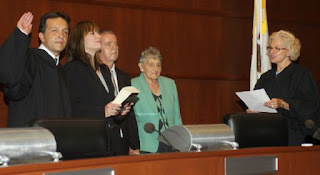 I have also spoken widely to publicize the court’s mortgage foreclosure mediation program. My 200-page bench book on real estate and foreclosure law is now used by judges across Illinois. 1. Developed a single, uniform order used when judges appoint receivers in commercial foreclosure cases and posted it on the court’s web site. 2. Developed over 20 model courtroom forms to enhance legibility, shorten waiting time for writing of orders, and improve homeowners' understanding of the nature of their orders. 3. Coordinated development of the Mortgage Foreclosure/Mechanics Lien Section of the court web site, marking the first time the Chancery judges’ standing orders, contact information, motion schedules, and courtroom forms were available on-line for reference by attorneys and litigants. 4. Served as chair of the Procedures Subcommittee of the Illinois Supreme Court Mortgage Foreclosure Committee. The subcommittee is developing a large number of recommendations for court rule and statutory changes to improve the foreclosure process for homeowners and litigants. 5. Wrote a 200-page bench book on mortgage foreclosure law and “best practices” courtroom procedures, now used by judges across the state. 6. Established the first courtroom hand-out for self-represented homeowners, containing a comprehensive, easy-to-understand checklist of tasks to perform for the next court date and listing resources for homeowners. 7. Trained new judges in the section on case law and courtroom procedures, and developed curriculum and course materials for that training. 8. Established the practice of using law school summer externs to annually perform tasks in chambers, such as updating case files, culling obsolete files, and updating computer logs, all free of charge to the taxpayers. Visit www.supportdelortforthecourt.com for more information on my campaign. Per email received today comes word of a campaign website for Nicholas G. Grapsas, Republican candidate for the Pietrucha vacancy in Cook County's 13th Judicial Subcircuit. That's a link to the site in the preceding sentence; a link has also been added to the blog sidebar. Per email received today, a campaign website has been established for judicial candidate Jessica A. O'Brien. That's a link to the site in the preceding sentence; a link has also been added to the blog sidebar. Today's email also notes that O'Brien's supporters are throwing a campaign kickoff fundraiser for the candidate tomorrow night, January 31, from 5:00 to 9:00pm, at Harry Caray's downtown location, 33 W. Kinzie. The "suggested minimum donation" is $75. There will be a cash bar and "passed hor d'oeuvres." For more information about the event, or to find information about upcoming O'Brien campaign events, visit this page of O'Brien's website. Jessica O'Brien is a candidate for the countywide Simmons, Jr. vacancy. The Cook County Electoral Board has ordered two more judicial candidates removed from the March 20 primary ballot, according to information posted this afternoon on the Cook County Clerk's website. Judge Kathleen G. Kennedy had filed for the Coleman vacancy on the Illinois Appellate Court, but (pending any possible appeal) the Electoral Board's action leaves Justice Nathaniel Roosevelt Howse, Jr. as the only remaining candidate in that race. The crowded race for the Delgado vacancy in the 6th Judicial Subcircuit is a little less crowded at present, now that the Electoral Board has ruled candidate Glenn J. Kahn off the ballot. Pending any possible appeal, Kahn would be the second candidate (out of an original field of nine) removed in this race. Another withdrew. One of the objections lodged against 6th Subcircuit candidate Beatriz Santiago has been resolved in her favor; another objection remains pending, according to the Cook County Clerk's website. I didn't look for a second page and, therefore, I missed the IVI-IPO's endorsements in two Republican judicial primary races. I apologize for my inadvertent omission and thank Harry J. Fournier for calling this to my attention. The other IVI-IPO endorsement in a Republican race comes in the race for the Pietrucha vacancy in the 13th Subcircuit. Here, the IVI-IPO backs Nicholas G. Grapsas (whose name I have heretofore misspelled -- that error has also been corrected). Coleman Vacancy - Nathaniel Roosevelt Howse Jr.
Gallagher Vacancy - P. Scott Neville Jr.
Conlon Vacancy - Stanley L. Hill Sr.
Ward Vacancy - Alfred M. Swanson, Jr. Responses to IVI-IPO Questionnaires submitted by several of the Supreme Court and Appellate Court candidates (not just the candidates endorsed by the organization) can be accessed at this page of the IVI-IPO website. Hat tip to 49th Ward Democratic Committeeman David Fagus (whose reelection bid was also endorsed by the IVI-IPO). The Illinois Supreme Court has appointed Jenner & Block attorney Michael F. Otto to the vacancy on the Cook County Circuit Court that will be created by the pending retirement of Judge Dennis J. Burke. 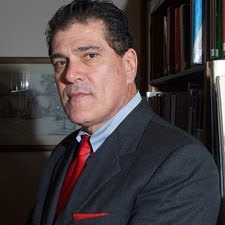 According to his biography on the Jenner & Block firm website, Otto was first licensed in Missouri in 1995, becoming an Illinois attorney in 1998. Before joining Jenner, Otto served as a law clerk to Supreme Court Justice Charles E. Freeman (from 1999-2007). Before that, Otto was a clerk to Appellate Court Justice Joseph Gordon. Otto received special recognition for his pro-bono advocacy from the Family Defense Center at its September 2011 benefit. Otto also currently serves as the Chair of the Chicago Bar Association Class Litigation Committee. Otto's appointment is effective February 15, 2012 and terminates December 1, 2014. The Democratic Party of the 49th Ward has announced its endorsements for the March 20 primary. The link will take you to the post on Committeeman David Fagus's blog in which you'll find the complete list of candidates endorsed. In the races for the two vacancies in the 9th Subcircuit, the 49th Ward has chosen to endorse Judge Lionel Jean-Baptiste for the Bender vacancy and Abbey Fishman Romanek for the Epstein vacancy. The 49th Ward Democrats also considered candidates for the Supreme Court. Justice Mary Jane Theis was the choice of 54% of those voting at Monday night's screening session. Justice Joy V. Cunningham received 38% of the votes, however, and, according to Mr. Fagus's blog post, a candidate must receive 66.7% of the votes in order to be endorsed by the organization. According to Fagus's post, "Races in which no candidate received 66.7% of the vote will be refered to the Board of the Democratic Party for additional consideration and an endorsement may be made." These were the only judicial races to come before the 49th Ward organization's endorsement session. There was one other endorsement, in a non-judicial race, that may nevertheless be of some interest to judges and lawyers who happen across this post: Incumbent Clerk of the Circuit Court Dorothy Brown received only 2% of the vote at the 49th Ward endorsement session. Ald. Ricardo Muñoz was the choice of the other 98% and was therefore endorsed. The Cook County Clerk's website now confirms that the objections to the candidacy of 9th Subcircuit candidate David C. Adams have been overruled. Pending any possible appeal, Adams' name will appear on the March 20 Democratic Primary ballot. Adams is a candidate for the Eptstein vacancy in the 9th Subcircuit candidate. Also in the field for that vacancy are Judge Mary S. Trew (who was appointed to this vacancy by the Illinois Supreme Court), Abbey Fishman Romanek, and Associate Judge Larry Axelrood. No Republican filed for the Epstein vacancy. The winner of the March 20 primary in this race will almost certainly be elected in November. I previously reported here that one of the challenges to countywide judicial candidate Sammy W. Lacey Jr. had been overruled. Two other challenges to Lacey's candidacy have now been withdrawn, according to the Cook County Clerk's website, clearing Lacey to appear on the March 20 primary ballot. Lacey is a candidate for the Stewart vacancy. Also in the race for this seat are Judge Pamela M. Leeming, Terrence M. Jordan, Deidre Baumann, Mary Margaret Burke, Rhonda Salleé and Steve Demitro. There is no Republican candidate for this countywide vacancy (or for any other countywide Circuit Court or Appellate Court vacancy). The winner of the March 20 primary in this race will likewise be almost certainly elected in November. There is still one more candidate withdrawal to report this morning. Martin D. Reggi has dropped his bid for the "A" vacancy in Cook County's 4th Judicial Subcircuit. The Cook County Clerk's office confirms that his name will not appear on the March 20 Democratic Primary ballot. But 4th Subcircuit voters will still have several choices in this race. Remaining in the field are Julie Line Bailey, Karin Elizabeth Swanson, Linda A. Walls, and Edward M. Maloney. The winner of the Democratic primary here will face Christine Cook in November. Cook is unopposed in the Republican primary. The Illinois State Board of Elections confirms that Pamela Reaves-Harris has withdrawn from the race for the Terrell vacancy in Cook County's 7th Judicial Subcircuit. Her name will not appear on the ballot. This leaves Oak Park criminal defense attorney William G. Gamboney as the sole remaining candidate for this vacancy. No Republican filed for this vacancy, meaning that Gamboney is virtually assured of taking the bench after the November election. The Illinois State Board of Elections website this morning confirms that former Appellate Court Justice John P. Tully has withdrawn his bid for the Illinois Supreme Court. Sources in the Cook County Clerk's office confirm that, even though Justice Tully's withdrawal was posted this week, his name will not appear on the March 20 primary ballot. Four candidates remain in the Democratic primary race for the opening created by the retirement of Justice Thomas Fitzgerald, Justice Mary Jane Theis (who was appointed to the Supreme Court to succeed Justice Fitzgerald), Appellate Court Justice Aurelia Pucinski, Appellate Justice Joy Virginia Cunningham, and Chicago attorney Thomas W. Flannigan. The winner of the Democratic primary will face Circuit Court Judge James G. Riley in November. Judge Riley is unopposed in the Republican primary. Robert Feder is among the many questioning the wisdom of the decision by the Chicago Sun-Times (announced yesterday) to make no endorsements. In its signed editorial (linked in the preceding sentence), the Sun-Times stated, "Research on the matter suggests that editorial endorsements don't change many votes, especially in higher-profile races." While this may be so in "higher-profile" races, research in judicial races has shown that newspaper endorsements can be worth tens of thousands of votes. As Mr. Feder said last evening, in a Time Out Chicago post entitled No endorsements: Sun-Times move casts voters adrift, "Even if voters are adequately informed about top-of-the-ballot races (which itself is debatable), that's hardly the case for lower positions or judicial candidates." The Sun-Times says it will "post assessments made by respected civic and professional groups, such as the Chicago Bar Association’s guide to judicial candidates." It promises also to post questionnaire responses (although it is not clear from the editorial whether judicial candidates will be asked to respond to questionnaires -- nor is it clear whether these responses will be posted behind the pay wall the Sun-Times is constructing). If there are judicial questionnaire responses posted, and if these can be linked without running afoul of a pay wall, I'll link them here. There can be an argument made that past Sun-Times judicial endorsements were not particularly persuasive because, in most races, there was little explanation as to why the paper favored this candidate over that one. However, readers knew, or should have realized, that the Sun-Times had reporters covering the courts, particularly the criminal courts, where reporters could get to know and formulate substantive opinions about the judicial potential of some of the attorneys handling cases there. (As a civil attorney, I was sometimes a bit miffed that ASA's and PD's and other members of the criminal defense bar automatically had a leg up in the endorsement process -- but that's another story.) Even if the bases of the paper's recommendations were not always made clear, readers had some reasonable assurance that the editors were choosing to endorse people known to them or their staff. But for the newspaper to now say that, instead of endorsing, 'we'll tell you who the CBA recommends,' is a cop-out. The Chicago Bar Association and the 11 members of the Alliance of Bar Associations do not make endorsements. They pass on the credentials of judicial candidates, advising whether, in their respective opinions, a candidate is "qualified" or "recommended" for the bench. There will be races on the March 20 primary ballot in which each and every candidate is rated qualified or recommended by every bar association. Sadly, there may be some (a few) in which none of the candidates is rated qualified or recommended by any bar association. In either case, how can a voter use bar ratings alone to choose a candidate to support? Where I can get a complete list, For What It's Worth will continue to report any and all endorsements from any community group, political organization, newspaper, or union as well as bar association ratings. I'll continue to try and provide a forum, in my 'organizing the data' posts (which, with any luck at all, will be up in time for early voting) to allow voters to make the most informed choices possible in judicial elections. But the Sun-Times' decision to abandon its prerogative to make endorsements is going to hurt some good judicial candidates this year. Per email received, the offices of James D. Montgomery & Associates, Ltd. will host a fundraiser in support of the Appellate Court bid of Justice Nathaniel Roosevelt Howse, Jr. The event is scheduled for next Tuesday, January 31, from 5:30 to 7:30pm, at the firm's office, One North LaSalle Street, Suite 2450. The suggested contribution is $250. To reserve tickets, call the Montgomery firm at (312) 977-0200. Howse is a candidate for the Coleman vacancy on the Appellate Court. Per email received, a campaign website for Edward M. Maloney, candidate for the "A" vacancy in the 4th Subcircuit, has been established. That's a link to the site in the preceding sentence; a link has also been added to the sidebar. Maloney's campaign has scheduled a fundraiser for February 8, from 5:00 to 7:30pm, at Gulliver's Pizza, 17 W 517 Roosevelt Rd., Oakbrook Terrace. Tickets for the event are $100. Cocktails and appetizers will be served. To reserve tickets to the event, or to make a donation, write to Friends for Ed Maloney, P.O. Box 87, LaGrange, IL 60525. 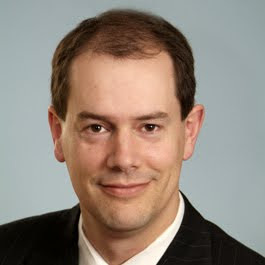 Harry J. Fournier will be unopposed in the Republican primary for the Riley vacancy in the 4th Subcircuit. The Cook County Electoral Board recently ruled challenger Timothy Felix Winslow off the ballot. Two candidates for the countywide Stewart vacancy, Terrence M. Jordan and Rhonda Salleé, survived challenges before the Electoral Board and have been cleared to appear on the March 20 primary ballot. A 6th Subcircuit candidate, Richard Lugo, recently turned back a challenge to his candidacy before the Electoral Board. Beatriz Santiago also survived one of the challenges to her candidacy in the 6th Subcircuit, although another challenge remains pending. Also surviving Electoral Board challenges were William G. Gamboney, 7th Subcircuit (Terrell vacancy)and Judge Arthur P. Wheatley, 7th Subcircuit (Toney vacancy). The Cook County Electoral Board has also rebuffed a challenge to the Appellate Court candidacy of Cook County Circuit Court Judge Laura Marie Sullivan, a candidate for the Cahill vacancy. Email brings news of another campaign website, this one for Karin Elizabeth Swanson, candidate for the "A" vacancy in the 4th Judicial Subcircuit. That's a link to the site in the preceding sentence; a link has been added to the sidebar as well. The Swanson campaign also advised of a January 26 fundraiser, from 5:30 to 7:30pm, at Morgan's Bar and Grill, 1325 S. Halsted Street. Tickets for the event are $50, but sponsorships are available (Friend - $100, Sponsor - $500, Patron - $1,000, Benefactor - $2,500). For more information about the fundraiser, or to order tickets, email karin@karinswansonforjudge.com. Edward J. Maloney, a candidate for the countywide Pucinski vacancy, was recently interviewed on Avy Meyers' North Town News Magazine. With Mr. Meyers' permission, the interview is posted below. Per email received, the campaign website of Judge Kay Marie Hanlon, candidate for the Cahill vacancy on the Appellate Court, is now online. That's a link to the site in the preceding sentence; a link has also been added to the list of Appellate Court candidates in the sidebar. Supporters of Judge Hanlon's candidacy have also announced two fundraisers. The first of these is January 30, from 5:00 to 7:00pm at Peggy Kinnane's, 8 N. Vail Ave., Arlington Heights. Tickets for this event are $100 each (Host - $200). The second Hanlon fundraiser is set for February 9, from 5:30 to 7:30pm, at Flight Restaurant and Wine Bar, 1820 Tower Drive, Glenview. Tickets for this event are also $100 each (Host - $200). To reserve tickets for either event, or for more information, email friendsofkaymariehanlon@gmail.com. Supporters of Pamela McLean Meyerson are planning a downtown fundraiser for February 9, from 5:30 to 7:30pm, at Cavanaugh's, 53 W. Jackson (the Monadnock Building). Tickets for the event are $60. Sponsorship levels are also available ($125 - Supporter, $250 - Patron, and $500 - Angel). To reserve tickets, or for questions about the event, email Linda Abrams at Linda@votemeyerson.com. Meyerson is a candidate for the Urso vacancy in Cook County's 11th Judicial Subcircuit. Carlos Claudio, a candidate for the Delgado vacancy in Cook County's 6th Judicial Subcircuit, was recently interviewed on Avy Meyers' North Town News Magazine. With Mr. Meyers' permission, the interview is posted below. Per email received from Steve Jambois, a fundraiser for 6th Subcircuit judicial candidate Mark V. Ferrante is planned for January 25, from 5:00 to 7:00pm, at the offices of Kralovec, Jambois & Schwartz, 60 W. Randolph St. (4th floor of the Goodman Theatre building). There is no set ticket price for this event. In an email, Jambois explained, "Since the event is geared towards people who know Mark well, we believe that they will be more than generous and not need suggestions." Persons who do not know the candidate well are also invited to attend (which is why I was asked to put up this post). Persons with questions about the event should call Steve Jambois at 312-782-2525 or email Steve@FerranteForJudge.com. Emails received from Sarah Cunningham advise of two fundraisers planned for Kevin Cunningham, candidate for the countywide Kinnaird vacancy. The first of the Cunningham fundraisers is set for Tuesday, January 31, from 4:30 to 7:00pm at Ciao Ristorante, 10296 S. 78th Avenue, Palos Hills. Tickets for this event are priced at $50, but sponsorship levels are available for $100, $250 and $500. The second Kevin Cunningham fundraiser is set for Thursday, February 2, from 6:30 to 9:00pm, at McNally's Pub, 11136 S. Western Ave. Tickets for this event are $35 apiece or two for $50. All attendees at this event, Sarah Cunningham writes, will be entered into a raffle for White Sox tickets. Ms. Cunningham adds that neither of these events are yet posted on the candidate's website, but that they are on the candidate's Facebook campaign page. For further information or to order tickets, email sarahcunningham76@yahoo.com. The Illinois State Board of Elections website confirms that Judge Thomas J. Carroll today dropped his bid to hold onto the Moore vacancy in Cook County's 3rd Judicial Subcircuit. The Supreme Court had appointed Carroll to this vacancy just this past August. Carroll's withdrawal all but ensures the election of Daniel R. Degnan, Executive Director of the Cook County Employee Pension Fund. Although five candidates initially filed in this race, all of Degnan's would-be challengers have now withdrawn. In the 7th Subcircuit, meanwhile, Aicha Marie MacCarthy is the sole remaining candidate for the Jones vacancy, now that Melanie Nuby has been removed from the ballot pursuant by action of the Cook County Electoral Board. MacCarthy, too, is now all but guaranteed election in the fall. Supporters of Associate Judge Mathias W. Delort are planning a February 7 fundraiser. The event will be held at Rosebud Prime, One South Dearborn, from 5:00 to 7:00pm. Tickets are $100, but sponsorships are available (Silver Sponsor - $250, Gold Sponsor - $500, Diamond Sponsor - $1,000). For more information, or to reserve tickets, email judgedelort@gmail.com. Judge Delort is a candidate for the Cahill vacancy on the Appellate Court. 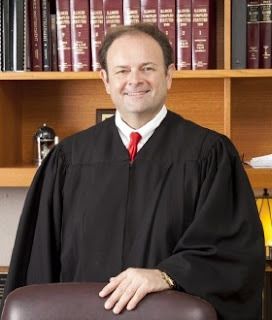 Judge Anthony C. "Tony" Kyriakopoulos recently dropped his bid to hold onto the seat to which he was appointed by the Illinois Supreme Court in early 2010. Kyriakopoulos's withdrawal from the race leaves Judge Thomas R. Allen as the only candidate left for the Locallo vacancy in the 10th Subcircuit. (Although former Ald. Allen was appointed by the Illinois Supreme Court to the countywide Pucinski vacancy, he sought, and received, slating in this race instead.) Since no Republican filed in this race, Judge Allen is virtually assured of winning a full term. Also, earlier last week, Tracey Lynn Payne withdrew her bid to be elected to the Moore vacancy in the 3rd Subcircuit. Payne's withdrawal came just days after Rosemary L. Cotin folded her candidacy in that same race. Regular visitors will have noted that I've put up two sets of judicial endorsements so far. Many groups that traditionally make endorsements in these kinds of races have only just begun their endorsement process. However, I also realize that many candidates are claiming endorsements that I've not yet publicized. I would like to publicize every Cook County judicial candidate's endorsements, but I need help and cooperation from candidates, readers and organizations making endorsements. If the Butchers, Bakers and Candlestick-makers Union makes endorsements in all of the judicial races, and Candidate Smith tells me that s/he has secured this coveted endorsement, I have made it my policy not share Candidate Smith's happy news until I can get the entire list. This has not always been possible. I'm not exactly sure why, but some groups seem reluctant to publicize their endorsements. Case in point: Last week I heard from a person who is supporting a Cook County judicial candidate. This person wrote me to advise that a well-known union had endorsed the candidate supported by this person. I wrote back and asked for a list. Over the weekend, having not heard from the candidate's supporter, I wrote the candidate directly, repeating my request for a complete list of candidates endorsed by the union. I also spent some time searching online and, eventually, found a press/PR contact for the union. I emailed this person also, advising that I'd learned that the union had made endorsements and requesting a list so that I could publicize it here. The response I received may be accurately paraphrased thusly: "Who wants to know?" (A lot of folks instinctively don't want nobody that nobody sent; at this point, it's probably part of the native Chicagoan's DNA.) But, additionally, the response also asked, "Who told you?" You will note that I have not identified either the candidate or the union in this post and I will not. Nor did I identify the candidate in question to the union representative. I have no desire to embarrass either the candidate or union. It may well be the case that the union leadership needs to advise its rank and file before revealing the endorsements to the public generally -- and I certainly understand that. I can wait. But... judicial candidates seek endorsements because they want to use these in their campaigns. Voters may find endorsements relevant as they try and discern which judicial candidates are worthy of their support. Presumably organizations make judicial endorsements because they want to influence voters, or at least their voting members. So why not share the information? A January 31 fundraiser is planned by supporters of Circuit Court candidate Cynthia Ramirez, from 4:00 to 7:00pm, at the offices of Dykema Gossett, 10 S. Wacker Drive. Tickets for the event are priced at $50, but sponsorship levels are available for $250 and $500. To reserve tickets, for more information about the event, contact rtumialan@dykema.com. Ramirez is a candidate for the countywide O’Brien vacancy. A January 25 fundraiser has been scheduled for Judge Jesse G. Reyes, candidate for the O'Brien vacancy on the Appellate Court. The event will run from 5:00 to 7:00pm on the 25th in the offices of Ungaretti & Harris, 70 West Madison Street. Tickets for the event are priced at $100 each. Sponsorships are available (Friend - $250, Sponsor - $500, or Host - $1,000. Organizers are requesting that reservations be made by January 23, presumably so that attendees can be processed more smoothly through building security. To reserve a ticket or for more information, email electjessegreyes@gmail.com. According to information recently posted on the website of the Cook County Clerk, two more candidates in the crowded 6th Subcircuit field have survived electoral challenges. Pending possible appeals, recent actions by the Cook County Electoral Board have cleared both Mark V. Ferrante and Kent A. Delgado to appear on the March 20 primary ballot. The Cook County Electoral Board has sustained objections to the nominating petitions of Circuit Court Judge William D. O'Neal, candidate for the Tully vacancy on the Appellate Court. Pending any possible appeal, O'Neal's removal from the March 20 primary ballot leaves Justice Terrence J. Lavin unopposed in his bid to keep the seat to which he was appointed by the Illinois Supreme Court in early 2010. 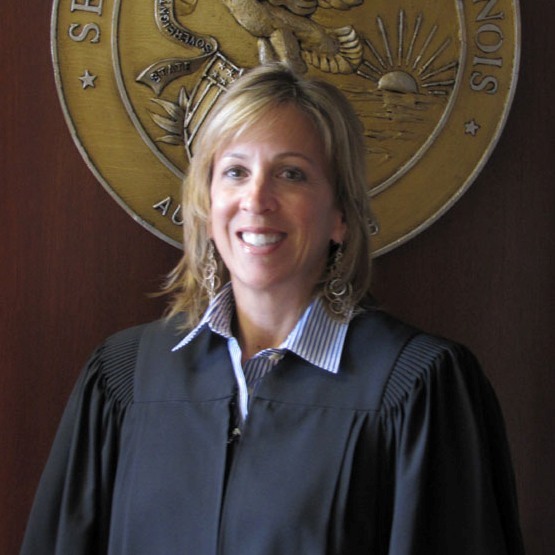 Judge Andrea M. Schleifer survived the challenge to her candidacy. 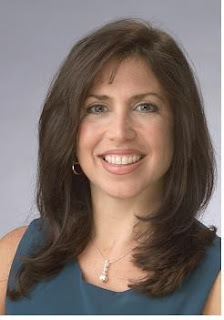 Subject to any appeal, the Electoral Board's recent action guarantees Schleifer's opportunity to vie for the Rochford vacancy in Cook County's 12th Judicial Subcircuit, the seat to which she was appointed by the Illinois Supreme Court in late 2010. Unlike Justice Lavin, however, Schleifer faces four challengers in the March primary, Daniel P. Scott, Robert P. Babbitt, Michael John Halloran, and Judge James C. Murray. A January 28 fundraiser is planned by supporters of Michael J. "Mike" Dickman, from 5:00 to 9:00pm, at Boston Blackie's, 120 South Riverside Plaza. Tickets for the event are $50 (although -- no surprise -- the email I received points out that larger donations are welcome) and may be purchased in advance or at the door. To reserve tickets, or for more information concerning the event, contact ivetariba@yahoo.com. Dickman is a candidate for the Riley vacancy in Cook County's 4th Judicial Subcircuit. The Latin American Police Association has announced endorsements in certain Cook County judicial races. 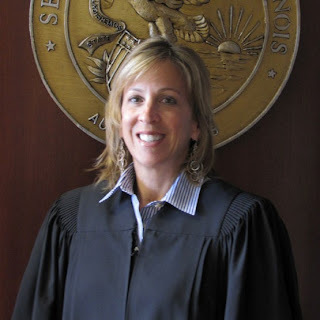 According to LAPA President Michael J. Chuchro, with whom I spoke earlier this afternoon, LAPA is endorsing Appellate Court Justice Joy V. Cunningham for the Illinois Supreme Court and Circuit Court Judge Jesse G. Reyes for the O'Brien vacancy on the Appellate Court. LAPA also chose to make endorsements in only two of the many countywide Circuit Court races, singling out Cynthia Ramirez (O'Brien vacancy) and Diann K. Marsalek (O'Mara Frossard vacancy). 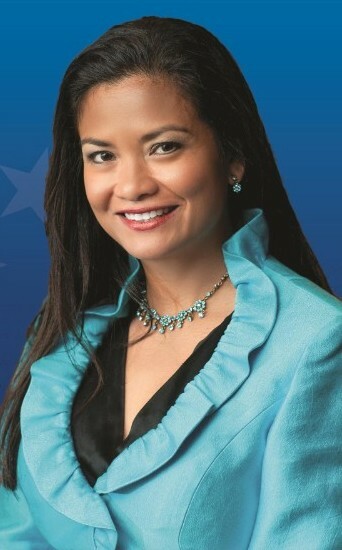 Maritza Martinez, candidate for the O'Brien vacancy in the 11th Subcircuit was the only subcircuit candidate endorsed by LAPA. Side note: Yes, there really are three different "O'Brien" judicial vacancies on the ballot in Cook County this year. Hat tip to "Josh" who left a link in a comment to an earlier post citing to Ellis B. Levin's campaign website. A click on "campaign website" in the preceding sentence will take you to Levin's site; a link has also been added to the blog sidebar. Former State Representative Levin is a candidate for the Cole vacancy in Cook County's 8th Judicial Subcircuit. The Cook County Board has rejected challenges to the judicial candidacies of James A. Wright (candidate for the countywide Simmons vacancy) and Rhonda Salleé (countywide Stewart vacancy), according to information recently posted on the website of Cook County Clerk David Orr. Pending any possible appeal, Wright and Salleé will appear on the March 20 Democratic primary ballot. However, the Electoral Board has sustained objections to the 12th Subcircuit candidacy of Jennifer Bae. Bae's name will not appear on the Democratic primary ballot in that north suburban subcircuit, pending the outcome of any further appeals. A number of objections remain pending regarding other judicial candidates. Note: Readers with information concerning any Electoral Board appeals are encouraged to contact this blog with relevant information. There is an email link in the blog sidebar. The objections to the petitions filed on behalf of Judge Nicholas Geanopoulos were recently overruled by the Cook County Electoral Board. Pending an appeal, therefore, Geanopolous will appear on the March 20 primary ballot in the race for the Durkin Roy vacancy 8th Subcircuit. In related news, Judge Geanopolous's campaign website is now online. That's a link to the site in the preceding sentence; a link has also been added to the blog sidebar. 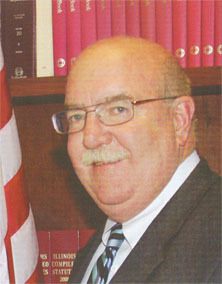 Judge Geanopoulos was appointed to a countywide judicial vacancy in 2008. He did not run for election in 2010 but was recalled to judicial service by the Illinois Supreme Court after the expiration of his initial appointment. A campaign website has been established for Michael J. "Mike" Dickman. That's a link to the site in the preceding sentence; a link has also been added to the sidebar. Congresswoman Jan Schakowsky and Cook County Commissioner Larry Suffredin are the headliners for a January 30 reception for Judge Andrea Schleifer. The reception will be held at the offices of Shefsky & Froelich, 111 East Wacker Drive, from 5:00 to 6:30pm. Tickets for the reception are $100 but sponsorships are available (Host $250, Sponsor $500, and Patron $1,000). For additional information about the event or to reserve tickets, visit Judge Schleifer's campaign website. Judge Schleifer is a candidate for the Rochford vacancy in the 12th Judicial Subcircuit. Judge Erica L. Reddick, a candidate for the countywide Kinnaird vacancy, was recently interviewed on Avy Meyers' North Town News Magazine. With Mr. Meyers' permission, the interview is posted below. This is the second time that Judge Reddick has been interviewed on NTNM during this election cycle. Her first interview was posted on FWIW in early November. Per email received, a fundraiser will be held in support of Rhonda Salleé's judicial campaign on January 22 at 2:00pm at the home of Daniel Parker. 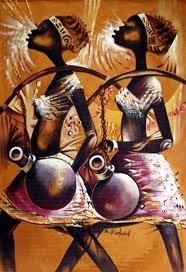 According to the email, Parker is a renowned collector of African Art. (The accompanying illustration, as I understand it, comes from the collection.) The fundraiser will be hosted by attorney Harriet Parker. The minimum donation for the fundraiser is $25. For more information concerning the event, including directions to the Parker home, contact the Salleé campaign through the campaign's website, http://www.rhondasalleeforjudge.com/. Salleé is a candidate for the countywide Stewart vacancy. Judge Michael Ian Bender, a candidate for the Bender vacancy in Cook County's 9th Judicial Subcircuit, was recently interviewed on Avy Meyers' North Town News Magazine. With Mr. Meyers' permission, the interview is posted below. That's a link to Judge Bender's campaign website at the outset of this post; a link has been added to the blog sidebar as well. Per email received from the candidate's son, a campaign website has been set up for Martin D. Reggi. That's a link to the campaign website in the preceding sentence; a link has been added to the sidebar. Reggi is a candidate for the "A" vacancy in the west suburban 4th Judicial Subcircuit. Although a number of candidate challenges are still pending, most of the Cook County judicial candidates have begun to turn their attention to actual campaigning – asking voters for votes. Getting one’s message out to voters in a county as large as this one is a herculean challenge. Candidates are seeking endorsements, filling out questionnaires, and showing up at any event that will have them. Judicial candidates spend a lot of time seeing... each other. I’d like to give every Cook County judicial candidate the opportunity to get his or her message directly to potential voters. I will print any statement that any judicial candidate cares to make right here on For What It’s Worth. This is the third election cycle in which I’ve extended this invitation. In 2008, more than two dozen candidates took me up on the invitation. In 2010, only a few candidates did. I’m happy either way. Candidates need only send me an email (there’s a link in the sidebar of this blog) with their essay. If I don’t already have your picture, send me a head shot. I’ll run that with the post. I will not edit candidate statements. I’ll print what you send. (That’s why I need an email, to verify what was sent, and by whom.) To see what other candidate statements have looked like, click on the “In Their Own Words” tag at the bottom of this post. I will only put up one statement per candidate. I know some candidates have statements of the types solicited here on their own campaign websites. If a candidate asks me to run a substantially similar statement here, or even the same statement, I will do so. I will not pull statements from candidate sites on my own, however. If a candidate wants me to put their statement here, the candidate has to send me the statement. I know writing such an essay won’t necessarily be an easy task: As lawyers, we’re used to advocating for a client -- for someone else. It’s not as easy to talk about ourselves. But this will be an opportunity for candidates to define themselves, rather than be defined by questionnaire responses. I do not intend to impose any limit on the statement’s length; presumably no serious candidate would compose anything overwhelmingly long. For illustration purposes, my word processor assures me that this post is 486 words long. Coleman Vacancy - Nathaniel Roosevelt Howse, Jr.
Gallagher Vacancy - P. Scott Neville, Jr.
Conlon Vacancy - Stanley L. Hill, Sr. Thanks to Kulmeet Galhotra for calling these to my attention. The remaining objections have been dropped against 2nd Subcircuit judicial candidate Alma Learetta Tyson, according to the Cook County Electoral Board (information posted on the website of Cook County Clerk David Orr). According to the County Clerk's website, the Cook County Electoral Board has overruled objections to the judicial candidacies of Aicha Marie MacCarthy (7th Subcircuit - Jones vacancy), Judge Michael Ian Bender (Bender vacancy), and Terry Gallagher (4th Subcircuit - Riley vacancy). Objections have also recently been withdrawn to the candidacy of Steve Demitro (countywide - Stewart vacancy). The Electoral Board has also overruled objections against three other candidates vying for the Stewart vacancy. Pending possible appeals, challenges to the nominating petitions of Judge Pamela M. Leeming, Mary Margaret Burke, and Sammy W. Lacey, Jr. have all been denied. Because the objections against him have been withdrawn, Demitro's name will appear on the March 20 primary ballot. Pending possible appeals, Burke and Leeming are now also cleared to appear on the ballot. Lacey's position is slightly different. Although one of the three challenges against his candidacy has been resolved in his favor, there are two other challenges still pending. The Cook County Electoral Board recently sustained objections against a number of judicial candidates. Candidates against whom objections are sustained are effectively knocked off the ballot unless reinstated via an appeals process. Objections have been sustained against Frank James Ryan (countywide - O'Brien vacancy), Martin Walter Burzawa (6th Subcircuit - Delgado vacancy), and Marianne G. Dwyer (8th Subcircuit - Cole vacancy). Per email received from Ed Carroll, the candidate's brother, the campaign website of Judge Thomas J. Carroll is now online. That's a link to the site in the preceding sentence; a link has been added to the sidebar. Judge Carroll was appointed to, and is a candidate for, the McSweeney Moore vacancy in Cook County's 3rd Subciruit. My thanks to Joanne Richards, who sent me an email calling my attention to the campaign website of Lisa A. Marino, candidate for the Urso vacancy in Cook County's 11th Subcircuit. That's a link to the site in the preceding sentence. A link has been added to the Circuit Court candidate sidebar as well. The Cook County Bar Association hosted a symposium last night for all of the candidates running for the Fitzgerald vacancy on the Illinois Supreme Court in the Powers, Rogers & Smith Ceremonial Courtroom at the Loyola University Law School. Lawyers would not expect a great deal of news to be generated by a symposium of this type, and there wasn't. Mr. Flannigan repeated, as he has on prior occasions, that he will not accept campaign donations. Justice Tully said he would. Justice Theis voiced concern about how campaign money has played an increasingly caustic role in some recent judicial elections. All the candidates were in favor of getting qualified judges on the bench. All the candidates were in favor of diversity. And, here's a shocker, seeing as how the candidates were speaking at an event put on by one the area's major bar associations: All the candidates stressed how much they like and respect bar associations and promised (to slightly varying degrees) to work closely with bar associations after election to the Supreme Court on matters of judicial, staff, and committee appointments. To most voters, this may seem pretty boring. Yet, in my opinion (clearly labeled as such), Robert Jordan was absolutely correct when he said it was too bad that last night's program could not have been broadcast on television. Let me explain. It would be interesting, of course, to hear the candidates' views on pension reform, for example, or tollway expansion, or school closings. But any judicial candidate foolish enough to venture an opinion on these (or any other 'hot-button' political issue) might be found to have violated Supreme Court Rule 67A(3)(d)(i) (Canon 7A(3)(d)(i) of the Code of Judicial Conduct) which prevents any judicial candidate from making "statements that commit or appear to commit the candidate with respect to cases, controversies or issues within cases that are likely to come before the court." Yet it would be extremely informative, I think, for voters to see how judicial candidates respond to even the rather vanilla questions that they can answer. Does the candidate appear organized, wise, humble, pleasant, self-deprecating, anxious, arrogant, nervous, uncertain...? Does the candidate show respect for the questions and the questioners? The text of a candidate's answers, no matter how faithfully reported, may not accurately reflect the impression the candidate makes in person. This is why reviewing courts typically defer to trial judges or juries on questions of witness credibility. Yes, the appellate courts have the record of everything the witness said -- but the trial court and/or jury could observe how the witness testified, the tone of voice, the eye contact, the general demeanor and body language of the witness that combined together to give the trial judge or jury an impression of the truthfulness of that witness. A trial judge or jury determines the credibility of a witness based on personal observation. You, the voter, should determine whether this candidate or that one makes a credible case for going onto (or remaining on) the bench. In other words, if you have the opportunity to attend a future candidate symposium, for judicial candidates at any level, you should make every effort to attend. I will make every effort to publicize in future posts any candidate forum of which I become aware. Perhaps WGN (or its cable sibling CLTV) will find occasion to broadcast a future symposium. In the meantime, WGN should be commended for mentioning last night's event on its flagship 9:00pm newscast (and even providing some video of the event). That minute or so was about a minute or so more precious news time than has typically been devoted to Illinois judicial elections in recent election cycles by Chicago TV stations. Plaudits should also be directed at Cook County Bar Association President Sharon E. Strickland, Loyola Law Professor Neil Williams and all the other organizers of last night's event. Some of these are shown here, posing with the candidates who were able to remain after the symposium ended. Most of the objections filed against the nominating papers of many Cook County judicial candidates remain pending, but some have already been resolved, according to information posted on Cook County Clerk David Orr's website. Objections against three of the four remaining candidates for the Stuttley vacancy in the 2nd Subcircuit (Carl B. Boyd, Arthur Wesley "Wes" Willis, and Chester Slaughter) have been dropped. One of the objections against the fourth candidate in that race, Alma Learetta Tyson, has also been dropped, but another remains pending. The objections to Michael A. Forti's candidacy have also been withdrawn. Forti is a candidate for the countywide Simmons vacancy. Objections to Karen Lynn O'Malley's candidacy (Conlon vacancy) and Brian J. Stephenson's candidacy (Ward vacancy) have also been dropped. An objection to one countywide judicial candidate, Gwendolyn D. Bayless, has been sustained, according to the Cook County Clerk's website, apparently by default. Bayless had been running for the O'Mara Frossard vacancy. According to the Illinois State Board of Elections website, Chicago attorney Tom Courtney withdrew his bid today for the Illinois Supreme Court. 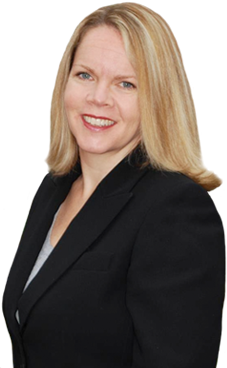 An Illinois attorney since 2000, Courtney is a Chicago resident who practices with the Palos Heights firm of Thomas F. Courtney & Associates. Courtney was making his first bid for judicial office; he was a candidate for 27th Ward Alderman in 2011. The candidates remaining in that race are Justice Mary Jane Theis (who was appointed to the Supreme Court to succeed Justice Thomas R. Fitzgerald), Appellate Court Justice Aurelia Pucinski, Appellate Justice Joy Virginia Cunningham, attorney Thomas W. Flannigan, and former Appellate Court Justice John P. Tully. A number of north and northwest suburban communities, acting together under the banner of the The Solid Waste Agency of Northern Cook County (SWANCC), are offering a free holiday light recycling program. Hopefully, Elgin Recycling has figured out a way to make money from all this. There nothing wrong in doing well by doing good. A tip of the hat to Dr. Albert Klumpp for passing this information along. Clark Park: 3400 N. Rockwell Ave.
Garfield Park: 100 N. Central Park Ave.
Humboldt Park Boathouse: 1369 N. Sacramento Blvd. Jackson Park: 6300 S. Cornell Ave.
Kennedy Park: 2427 W. 113th St.
Kelvyn Park: 4438 W. Wrightwood Ave.
Lincoln Park: Cannon Dr. at Fullerton Ave., parking lot east of Cannon Dr.
Norwood Park: 5801 N. Natoma Ave.
Portage Park: 4100 N. Long Ave.
Riis Park: 6201 W. Wrightwood Ave.
Wentworth Park: 5701 S. Narragansett Ave. According to the City of Chicago website, lights can be brought to these locations, during the times indicated, from now until January 31. Questions regarding this program can be directed to Elgin Recycling at (847) 741-4100. [N]o person may knowingly cause or allow the mixing of a CED [Covered Electronic Device], or any other computer, computer monitor, printer, or television, electronic keyboard, facsimile machine, videocassette recorder, portable digital music player, digital video disc player, video game console, electronic mouse, scanner, digital converter box, cable receiver, satellite receiver, digital video disc recorder, or small-scale server with municipal waste that is intended for disposal at a landfill. The City of Chicago has long accepted certain consumer electronics, burned-out CFLs, old batteries and so forth at its Household Chemicals & Computer Recycling Facility, 1150 N. North Branch Street. The facility has limited hours. For a list items accepted and not accepted, follow the link in this sentence. The Willowbrook Wildlife Center in Glen Ellyn will accept your live Christmas Tree just as long as you have cleaned it of ALL decorations including tinsel. Also, as these trees will be used in their animal enclosures as natural habitats, windblocks and for enrichment they ask that you not drop off trees that have NOT been spray painted as this would be toxic for the animals. If you’d like to donate your tree you must call the Willowbrook Wildlife Center prior to drop-off at 630-942-6200.